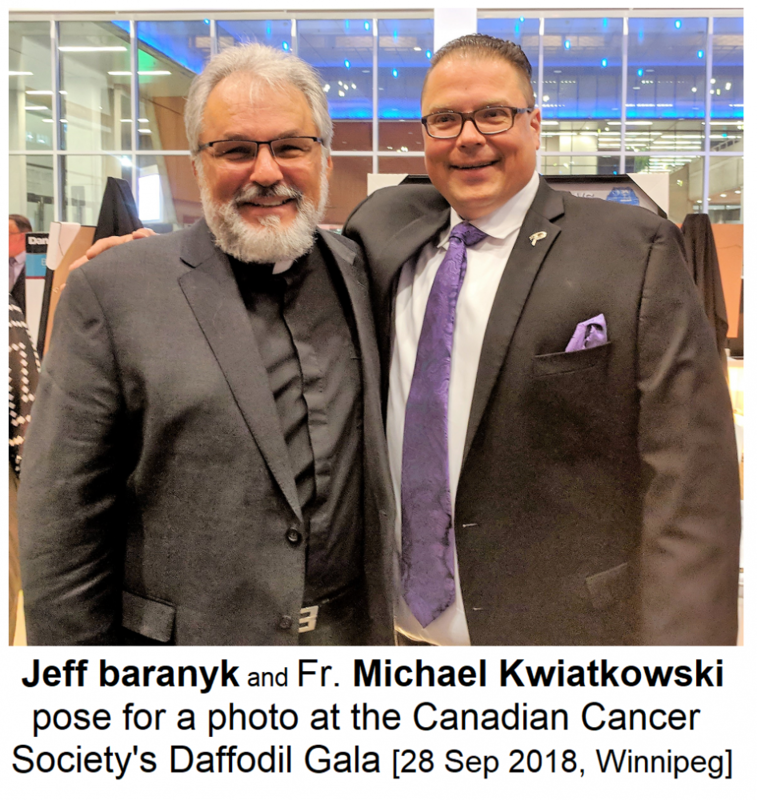 On the evening of September 28th, the Baranyk Family, on behalf of their late husband, father and grandfather, businessman Leonard Baranyk, hosted the 2018 Daffodil Gala at Winnipeg's Convention Centre. 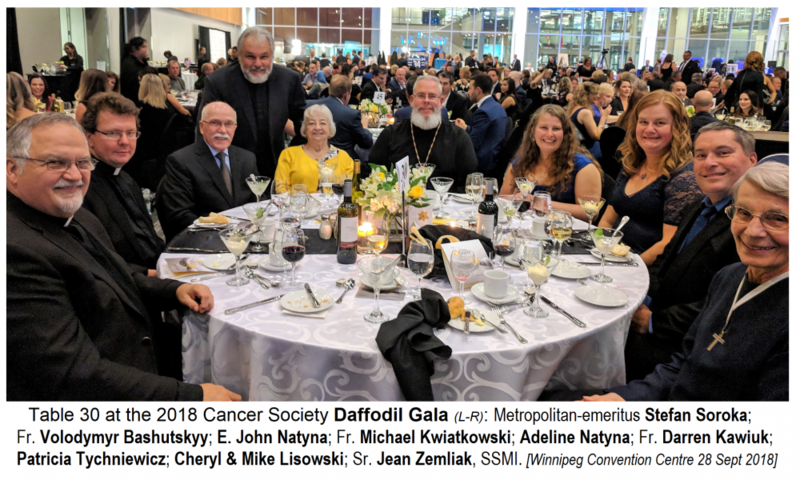 Leonard had agreed to serve as the Honorary Chair for this year's event, but only two weeks later he succumbed to the cancer that he had been battling successfully for six years. His wife Eleane and his sons Lenny, Jason and Jeffrey agreed to "take up the banner" and serve as honourary chairs in honour of the late Leonard. They did an amazing job. The number of attendees were doubled from last year! The generosity on the part of guests - especially at the time of the 'live auction' - was enthusiastic and infectious. It seemed that everyone wanted in on the effort to make a donation of a greater or lesser amount. The event was really remarkable - truly worthy of the title 'gala'. The food was amazing and the good will of the hundreds of participants filled the hall and encircled every table. There were layers of different kinds of auctions throughout the evening. It was a fundraiser, after all, but the astonishing prizes and exciting manner in which the auctions took place added magic of the gathering. Ace Burpee served as the engaging and witty master of ceremonies throughout the evening. 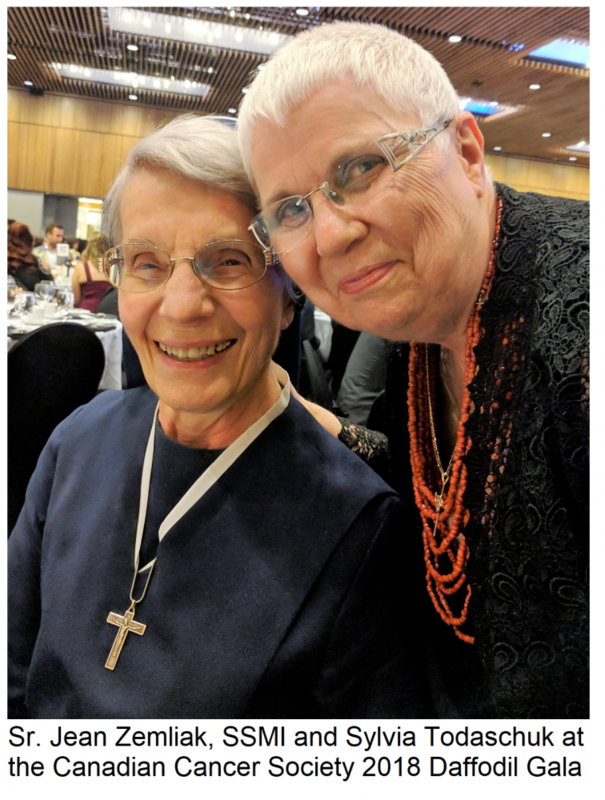 Aside from the generous giving on the part of everyone who attended, the highlight of the evening had to be the special video witness that was played in the course of the gala. In the video, played on large screens in the convention centre's York Room, Elaine and Lenny Jr. both spoke from the heart about the experience of their husband and father first being diagnosed with stage 4 cancer, the six-year struggle on the part of Leonard, the medical community and his family, and then Leonard's last trip to Arizona and his last farewells to his wife and the rest of his family... and their goodbyes to him. Not an eye in the convention centre was dry. The Baranyks spoke from unscripted from the heart with a sincerity and openness that moved everyone. Hopefully this inspiring video will be posted somewhere for more to see.